The number of people afflicted with Diabetes in the US continues to soar and the need for preventative monitoring is more and more of a necessity. Smart technologies are entering our lives at an unprecedented rate with the costs of sensors dropping precipitously over the last few years. Bonbouton has built a smart clothing platform that capitalizes on these two factors. 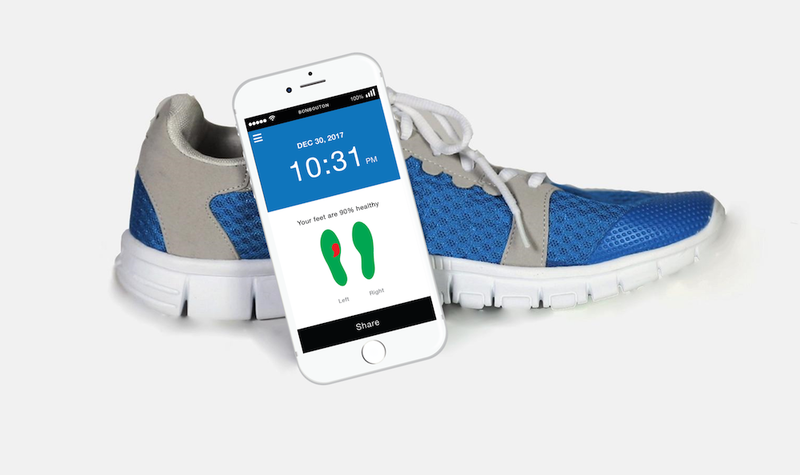 The company’s first product is a smart insole that tracks foot temperature to detect early signs of foot ulcers, an early indicator of diabetes. The company holds a patent on the graphene thermals sensors and this technology can be integrated into a vast array of applications. Through its software platform combined with use of the sensors, the technology can measure and track a number of vitals including body temperature, breathing rate, pulse, sleep, and number of steps. The company, a graduate of the Entrepreneurs Roundtable Accelerator, plans to introduce others smart clothing offerings to detect other early physiological signs of disease as passive continuous monitoring leads to better health outcomes. Its technology is already highly lauded for its innovative and disruptive potential. The company won the Wearable Technology Innovation World Cup in the category of Smart Clothing, is a Next Top Makers Fellow, and the recipient of the Elon Musk Award at Pitch Peak in addition to receiving a number of other accolades. All too often, we hear about startups trying to change the world. This company is actually doing it. AlleyWatch sat down with the cofounders Linh Le and Ingrid Bell to learn more about the company, how it started, and its plans for other innovative technologies on the horizon. 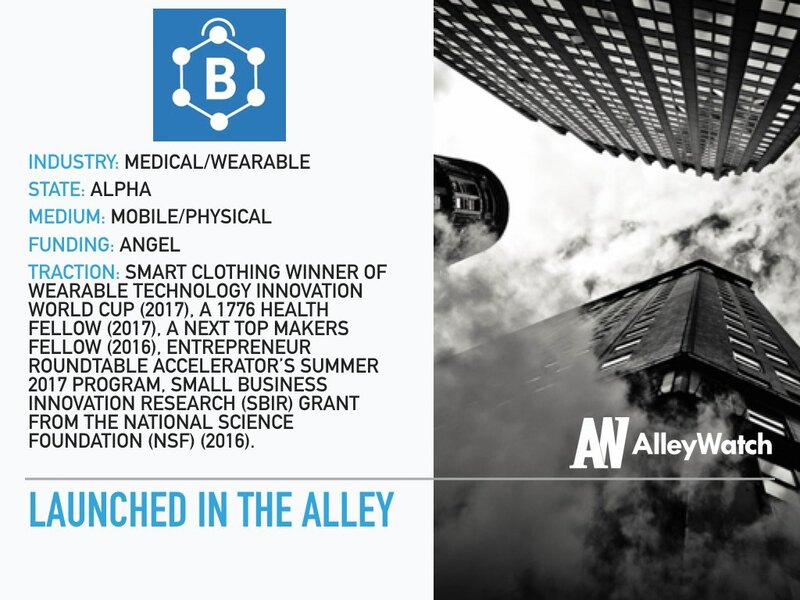 Bonbouton is a New York City-based health tech innovator that provides comprehensive preventive health solutions leveraging wearable graphene sensors and connected software. Bonbouton is developing mechanically flexible and molecularly thin graphene sensors for monitoring skin physiologies including temperature, heart rate, sweating and muscle motion. Our first product, a smart insole with a proprietary embedded graphene sensing system, passively monitors the skin’s physiological signals in order to detect early signs of foot ulcers. This simplifies patient self-monitoring and reduces the frequency of doctor visits. With 30 million diabetic patients in the US alone, and with 25% of these patients experiencing foot ulcers that can lead to severe complications including amputation – a procedure which costs the U.S. healthcare system $15 billion annually — this is an essential product to address this critical need. Our smart insoles work seamlessly with our mobile app to constantly monitor temperature and pressure of the foot bed to provide an early view of a developing foot ulcer to enable earlier preventive treatment that can significantly reduce the cost of care and provide better patient outcomes. 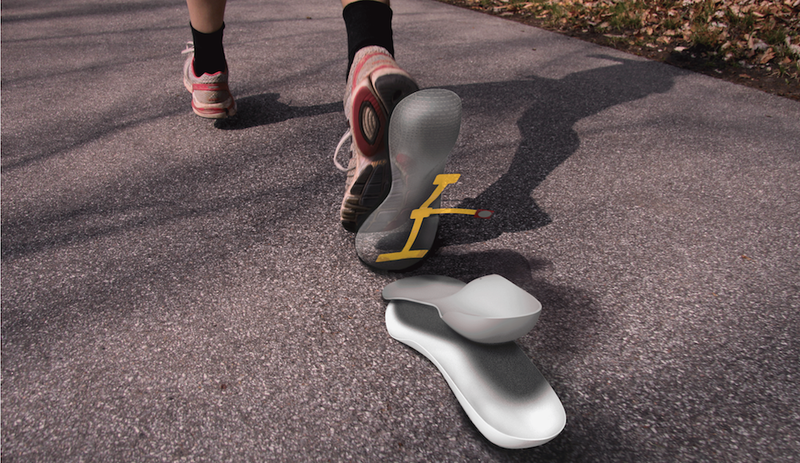 This smart insole will be the first of its kind using wearable graphene sensor technology. Graphene is a Nobel Prize winning material and we have discovered that graphene oxide can detect temperature changes that are accurate to 0.01 degree Celsius. The team is manufacturing an insole that can continuously and unobtrusively monitor temperature changes in patients’ feet and detect early signals of foot ulcers. What market does Bonbouton attacking and how big is it? We are targeting the diabetic patient population worldwide, which the World Health Organization estimates at over 400 million people, and 30 million in the United States alone. Ultimately, we hope that monitoring foot temperature for diabetic patients will be as routine and expected for preventive health as taking blood glucose levels in these patients. The insoles will be reimbursable by Medicare Part B through an existing reimbursement code for diabetic insoles. Providers, including hospitals and physicians, will pay a small fee for the data on our dashboard. With our solution, hospitals, providers, patients, and caregivers can benefit from adoption our platform. Earlier detection of serious foot complications can help reduce hospital re-admissions, saving the penalties that many hospitals face when they pay Medicare fines for readmissions. Physicians are incentivized by having better control of their schedules, having fewer emergency medical procedures, and by increasing revenue with the new CMS merit-based reimbursement program for remote monitoring. Patients and caregivers are looking for better continuous monitoring of health conditions and for utilizing technology for a more seamless and open communication channel with their doctors. Prior to Bonbouton’s founding, our CEO was exploring a variety of use cases for graphene in his PhD, including energy storage, supercapacitor batteries, and most recently, wearable sensors that can detect heat, humidity, and even heart rhythm. 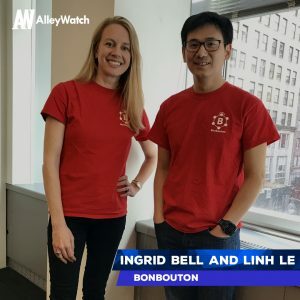 With diabetics in both founders’ families, Linh and Ingrid are passionate about better detection and intervention in chronic disease and believe that technology refinements will allow us to seamlessly and unobtrusively monitor patient health. 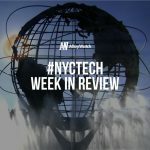 This is the second time that Linh participated in Peak Pitch, and both times were wonderful experiences to connect with several top NYC-based investors and mingle with like-minded entrepreneurs. Linh feels honored to have won the Elon Musk Award for the most innovative company in the most recent Peak Pitch, where he shared the vision of the company and how graphene can be the enabling technology for the future of digital health. As a result of this exposure, the team has been able to follow up with several interested investors, and we would love to participate again next year. In six months, we are looking to further refine our next generation insoles and conduct clinical effectiveness studies in small patient groups. That building a medical device company is easy and requires a lot of luck! Michael Bloomberg, because he is the ultimate entrepreneur, visionary, and true New Yorker. New York is a city of incredible diversity, not just in culture, but in ideas, backgrounds, opportunities, and potential. I’m gonna go with Sushi Nakazawa (Ingrid) and Le Colonial (Linh).